Norway, like all Scandinavian countries, has always tried to live in harmony with nature, rather than to master it. 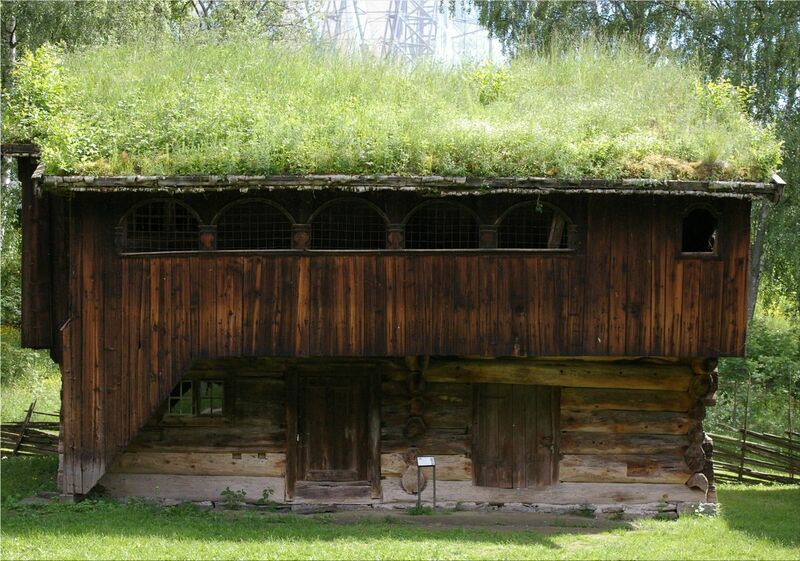 Norway's old houses with "live" roofs is a perfect signature of this ecological trend. 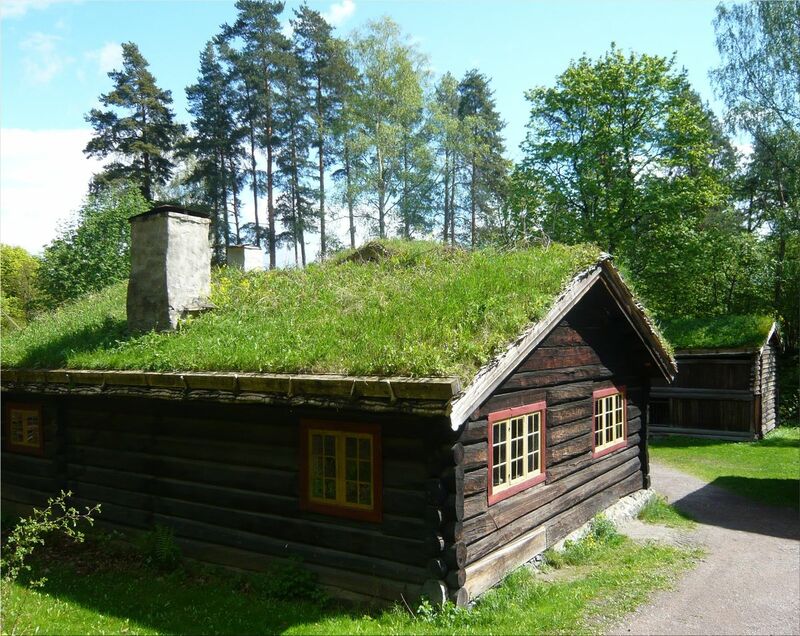 Houses with small lawns as roofs may seem strange in these modern times but in the 19 century roofs with vegetation on them were the most common in Norway's rural areas. Nowadays, houses with "live" roofs are very rare. 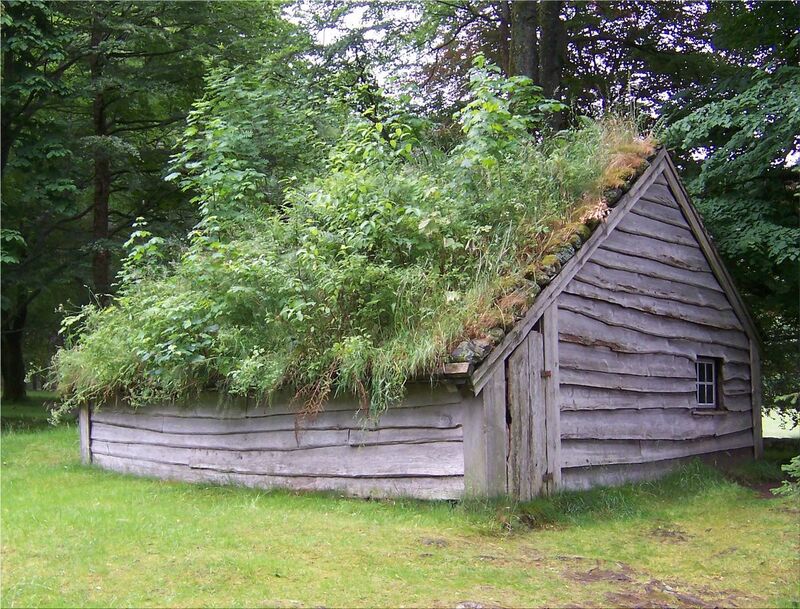 The living roofs are build mainly from birch bark, witch is waterproof, easily peeled from the tree, and, most significantly, it's free and abundant all across Norway. The birch bark is covered with multiple layers of soil (15 cm – 20 cm) so it won't move. The weight of the roof is approximately 50 kilograms per square meter. The living roofs provides an extremely efficient heat isolation and protection against storms and frost.